Facts: Four Criminal Appeals, out of which two Criminal Appeals relate to M/s Sasi Enterprises, a registered partnership firm, of which Ms.J. Jayalalitha and Mrs. N. Sasikala are partners and two Criminal Appeals relate to J. Jayalalitha and N. Sasikala were filed. M/s Sasi Enterprises, the firm, did not file any returns for the assessment year 1991-92 and 1992-93, for which the firm and its partners were prosecuted under Section 276 CC of the Act. J. Jayalalitha and N. Sasikala did not file returns for the assessment year 1993-94 and hence they were prosecuted for that breach (in their individual capacity). Proceedings giving rise to these appeals originated from the complaints filed by the Assistant Commissioner of Income Tax, Chennai, before the Additional Chief Metropolitan Magistrate (Egmore), Chennai, for the willful and deliberate failure to file returns hence committing offences punishable under Section 276 CC of the Income Tax Act, 1961. Complaints were filed after getting the sanction from the Commissioner of Income Tax, Central II, Chennai under Section 279(1) of the Income Tax Act. Appellants filed two discharge petitions under Section 245(2) Cr.P.C., which were dismissed by the Chief Metropolitan Magistrate. Appellants preferred Crl. R.C. before the High Court of Madras which were dismissed by the High Court and they were thereafter appealed against in the Supreme Court. Discussion by Court: The Income Tax Act, has stipulated both the penalty under Section 271(1)(a) and prosecution under Section 276CC, the former for depriving taxes due to the exchequer and later for the offence/infraction committed. vide the Taxation Laws (Amendment) Act, 1989, penalty provision under Section 271(1)(a) had been deleted w.e.f. 01.04.1989 and a provision for levy of mandatory/compulsory interest under Section 234A of the Act was introduced. But, legislature has never waived or relaxed its prosecuting provisions under Section 276CC of the Act for the infraction or non-furnishing of return of income. A plain reading of Section 139 of the Act, as it stood at the relevant time, indicates that it is mandatory on the part of the assessee to file the return before the due date. Explanation (a) to the said section defines the term “due date”, which is 30th November of the assessment year. The consequence of non-filing of return on time has also been stipulated in the Act. The explanation willful default, as observed by Wilber Force J. in Wellington v. Reynold (1962) 40 TC 209 is “some deliberate or intentional failure to do what the tax payer ought to have done, knowing that to omit to do so was wrong”. The assessee is bound to file the return under Section 139(1) of the Act on or before the due date. Section 276CC applies to situations where an assessee has failed to file a return of income as required under Section 139 of the Act or in response to notices issued to the assessee under Section 142 or Section 148 of the Act. The proviso to Section 276CC gives some relief to genuine assesses. The proviso to Section 276CC gives further time till the end of the assessment year to furnish return to avoid prosecution. In other words, even though the due date would be 31st August of the assessment year as per Section 139(1) of the Act, an assessee gets further seven months’ time to complete and file the return and such a return though belated, may not attract prosecution of the assessee. Similarly, the proviso in clause ii(b) to Section 276CC also provides that if the tax payable determined by regular assessment has reduced by advance tax paid and tax deducted at source does not exceed Rs.3,000/-, such an assessee shall not be prosecuted for not furnishing the return under Section 139(1) of the Act. Resultantly, the proviso under Section 276CC takes care of genuine assesses who either file the returns belatedly but within the end of the assessment year or those who have paid substantial amounts of their tax dues by pre-paid taxes, from the rigor of the prosecution under Section 276CC of the Act. Section 276CC, it may be noted, takes in sub-section (1) of Section 139, Section 142(1)(i) and Section 148. But, the proviso to Section 276CC takes in only sub-section (1) of Section 139 of the Act and the provisions of Section 142(1)(i) or 148 are conspicuously absent. Consequently, the benefit of proviso is available only to voluntary filing of return as required under Section 139(1) of the Act. In other words, the proviso would not apply after detection of the failure to file the return and after a notice under Section 142(1)(i) or 148 of the Act is issued calling for filing of the return of income. 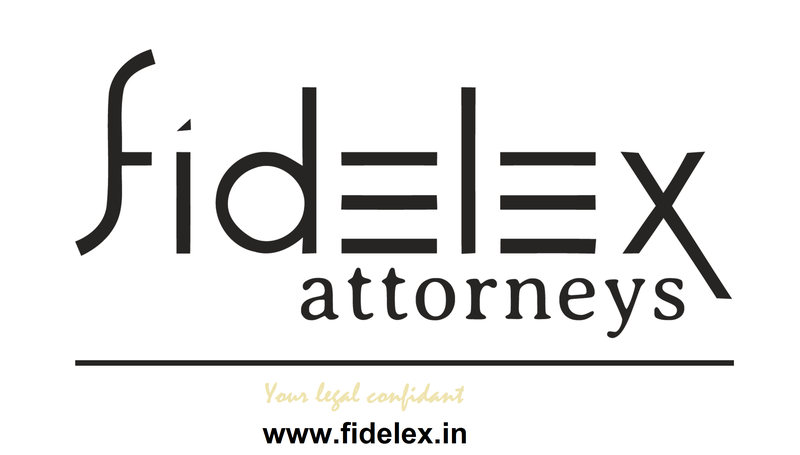 Proviso, therefore, envisages the filing of even belated return before the detection or discovery of the failure and issuance of notices under Section 142 or 148 of the Act. In Sub-section (4) to Section 139, the legislature has used an expression “whichever is earlier”. Both Section 139(1) and Sub-Section (1) of Section 142 are referred to in sub-section (4) to Section 139, which specify time limit. Therefore, the expression “whichever is earlier” has to be read with the time if allowed under sub-section (1) to Section 139 or within the time allowed under notice issued under sub-section (1) of Section 142, whichever is earlier. Proviso to Section 276CC nowhere states that the offence under Section 276CC has not been committed by the categories of assesses who fall within the scope of that proviso, but it is stated that such a person shall not be proceeded against. In other words, it only provides that under specific circumstances subject to the proviso, prosecution may not be initiated. An assessee who comes within clause 2(b) to the proviso, no doubt has also committed the offence under Section 276CC, but is exempted from prosecution since the tax falls below Rs.3,000/-. Such an assessee may file belated return before the detection and avail the benefit of the proviso. Proviso cannot control the main section, it only confers some benefit to certain categories of assesses. In short, the offence under Section 276CC is attracted on failure to comply with the provisions of Section 139(1) or failure to respond to the notice issued under Section 142 or Section 148 of the Act within the time limit specified therein. Held: The assessee had not filed the return either within the time allowed under sub-section (1) to Section 139 or within the time allowed under notices issued under sub-section (1) to Section 142. The contention that there has not been any willful failure to file their return cannot be accepted and on facts, offence under Section 276CC of the Act has been made out in all these appeals and the rejection of the application for the discharge calls for no interference by the Court. The declaration or statement made in the individual returns by partners that the accounts of the firm are not finalized, hence no return has been filed by the firm, will not absolve the firm in filing the ‘statutory return under section 139(1) of the Act. Section 278E deals with the presumption as to culpable mental state, which was inserted by the Taxation Laws (Amendment and Miscellaneous Provisions) Act, 1986. The question is on whom the burden lies, either on the prosecution or the assessee, under Section 278E to prove whether the assessee has or has not committed willful default in filing the returns. Court in a prosecution of offence, like Section 276CC has to presume the existence of mens rea and it is for the accused to prove the contrary and that too beyond reasonable doubt. Resultantly, the appellants have to prove the circumstances which prevented them from filing the returns as per Section 139(1) or in response to notices under Sections 142 and 148 of the Act. This entry was posted in Pronouncements & Principles, Taxation and tagged Income Tax Act. Bookmark the permalink.